Karl Denning, 45, was left in fear of leaving the house after being hit twice by the same quiet electric vehicle near his home in Dudley. 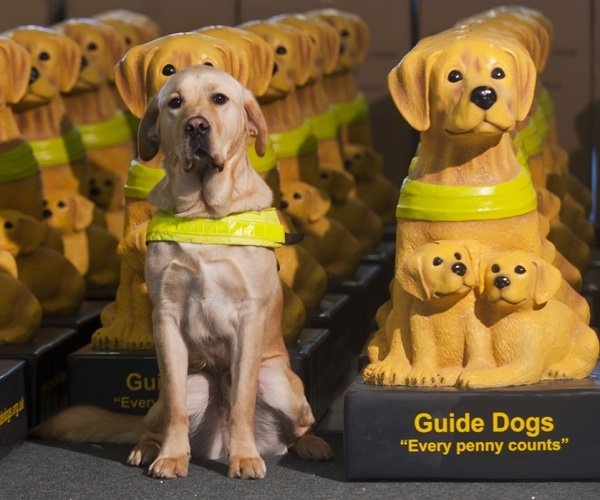 Karl, who lost his sight in an industrial accident in 2009, applied for a guide dog shortly after the second terrifying experience. Karl adds: “The driver was also shaken and was really apologetic, but I can’t help but think she can’t have been concentrating. The car had switched to electric as she’d slowed down for the corner which meant there was no engine sound to warn me it was coming.” Thankfully, Karl escaped with just a few bruises. Unbelievably, just a month later Karl had the exact same experience – the same crossing, same driver, same car. It was after this second accident that Karl felt too vulnerable to rely on his hearing alone and he applied for a guide dog. Karl supports the Guide Dogs Safe and Sound campaign as he believes these accidents wouldn’t have happened if he’d been able to hear the car coming.